refurbishment that is beautiful, comfortable and practical. 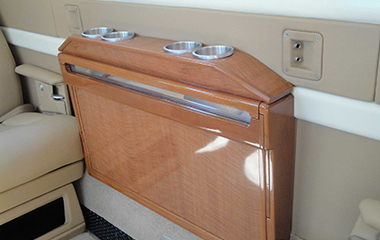 AeroPlus Interiors, Inc. is an FAA Certified Repair Station (UPOR577L) providing a variety of services ranging from partial to complete interior refurbishments for private and corporate aircraft. We are conveniently located inside the Houston Southwest Airport (AXH) in Arcola, Texas. Family owned and operated since 1991, we are proud to bring over 40 years of collective industry experience to your interior renovation project. 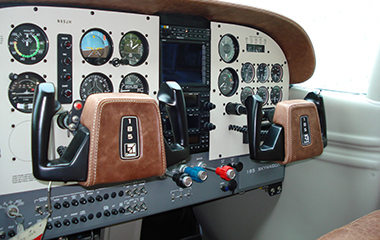 Our customers know they can always depend on AeroPlus for professional, high-quality, competitively priced and aesthetically pleasing aircraft interior work. We refurbish aircraft of all sizes; from small, single-engine to business jets, helicopters and everything in between. The hard-working and trustworthy professionals at AeroPlus have the experience and knowledge to meet your needs. 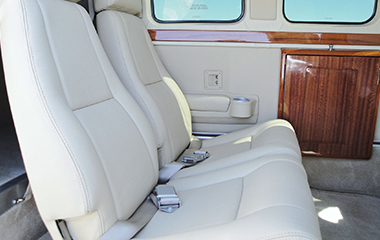 Your aircraft deserves a cabin interior that provides you with comfort, beauty, and style! We make your aircraft look new again!